As it is known, all the information in Amazon S3 is organized into buckets that have their own individual user-assigned key. Amazon cloud security starts protecting your data as soon as you begin moving it from your computer to the cloud due to SSL scheme. Once your data is in the cloud, it is protected by S3 server side encryption as well as S3 client side encryption. Sounds amazing, doesn't it? But can you absolutely be sure that your files and folders won't be compromised and there won’t be any data leakage? To trust or not to trust...that is the question. However, if you want to sleep peacefully, we would recommend you to take a look at the following list. Odrive gathers all of your storage providers under one application that encrypts everything before it ever leaves your computer. The software makes your files and folders work like they are your local drives. Open, change, edit any files and Odrive will make any changes automatically synced with the cloud. Having “zero knowledge” encryption policy, Odrive neither know nor store your S3 encryption password. Only the user can decrypt the data. Boxcryptor is the next solution that supports a lot of popular cloud storages. The software is easy to use and it has leading end-to-end encryption technology. However, if you want to provide additional S3 encryption, you will need to use Boxcryptor Portable and Mobile. Increase your security of S3 with CloudMounter. 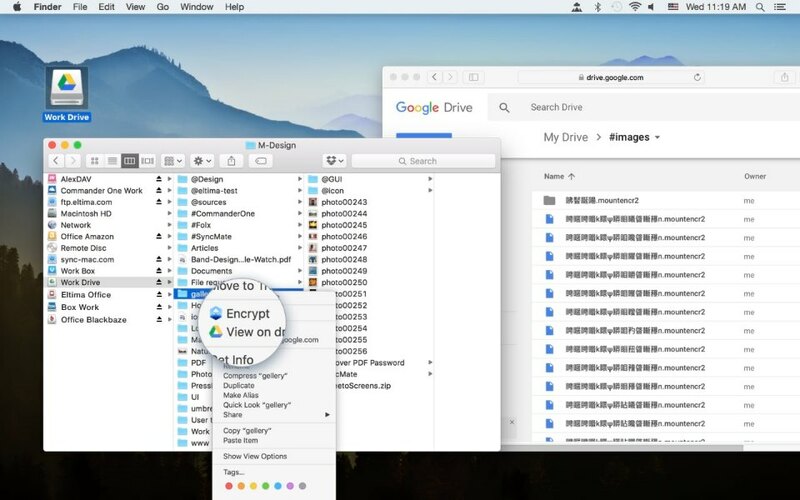 Map this cloud to your Mac and browse through it as if it is your local drive. When encrypting data, the software uses client-side encryption, protecting your files and folders from unwanted access. If you do not want to make encryption globally, you can seamlessly encrypt selected cloud in App Preferences. For more information follow this link. Now, after reading this article take a step towards mitigating risks in the cloud and live without fear.